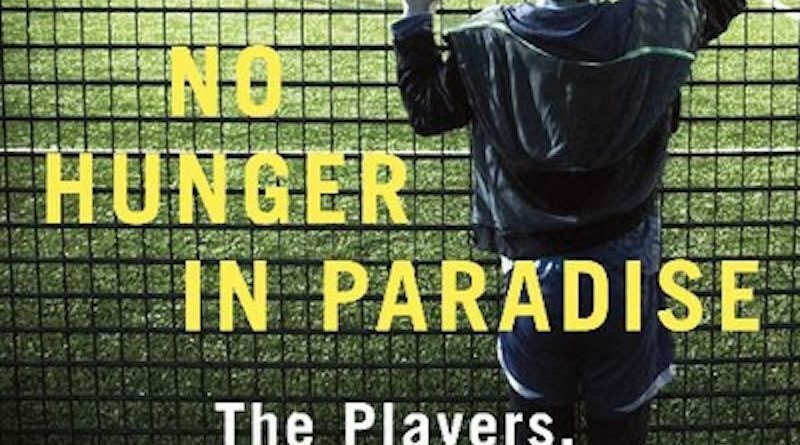 Everywhere on socials at the moment are clips of Frank Lampard, along with Mike Calvin et al., and clips from the current BT documentary talking about youth football, ‘No Hunger in Paradise’. This programme brings to life the excellent book that Mike has written, detailing many, and scarily true stories from the world of youth development. The best thing above all else is the fact that many of these discussions are now being had by people at a level in the game that can create change in their own domains. There are some important points to consider from all that is being raised and a few things I think that are worth noting. Firstly, not everything in youth football is bad and a disaster and far from it. Whilst people have accused the book and documentary as “sensationalism” I don’t believe it is. It can’t be. These are real stories of real people and their genuine experiences. The Academy system offers many positives also. I don’t plan on listing everything that is good in the game, this wasn’t planned on being a long piece (more a comment!) but the Academy system does do some fantastic things for young players. It gives them life experiences that they otherwise may not have ever had for example. One kid I can remember I coached, Alfie, got released from the Academy at the end of his U10 year. It was the right decision; he was really struggling behind the other players at the time with the speed of the game, his decision making, technical ability etc. and then his feelings of self-confidence started to get damaged. It was the best thing for Alfie to go back to grassroots football, continue to be watched, but go and play at a level that was right for him. Before the decision was made, Alfie was taken on tour to France where he played against Marseille, PSG, Monaco, Inter Milan, Anderlecht and some random Brazilian team I’d never heard of! An incredible life experience! And I can totally understand his position. When I was 13 I played in the “Ian Rush International Soccer Tournament” for Three Bridges FC. Huge! We went on to win the event and we were made up of lads that were either very good players that went on to play at pro clubs and some early maturers! In that event we played against Dynamo Kyiv and in that team was a young Andriy Shevchenko, who was the tournaments top scorer and got given a pair of coveted Ian Rush boots! Alfie may no doubt have played in an event in France that will turn out a name or two, too. Another that always gets me about people’s negativity towards the Academy structure is the “it takes them away from playing with their friends” argument. Well, here’s another take – it INCREASES their friendship circles and they make new friends for life! I remember talking to one lad at the club I coached at, as an U10, and asked him why he played football and he said it was to make new friends. He was no different to any other kid of that age that their primary motivator is intrinsic and it was about making friends. He just happened to be pretty good at football and therefore played it in that particular professional club setting. He has since changed club, gone to another top London club and guess what? He still see’s lads he played with when he was U9 and U10 at the previous club and they are his mates! I can give you plenty of examples of kids that have stayed in the pro game system but moved clubs and have retained friendships and ones that have left the system that still see lads they met from being in it. Think about your own friendship circles – are they all mates from where you grew up? Mine certainly aren’t. They are people from school, people from university 20 years ago, a whole host of different people that I have played football and other sports with over the years at a whole multitude of different clubs at very different levels from Crawley Town when I was an U18 to grassroots park football five years ago. Humans are social creatures and the “they don’t see their friends” argument is lost for me in a “they gain a whole heap of new ones as well” too point. Building on the point before, what I have also loved about the Academy world is it brings people together from very different walks of life that would never have otherwise met. It opens their eyes to a world they may not have encountered and whilst they will all dance their own journeys it can help them appreciate and understand a little about others. After Christmas one year I asked all the kids what their best present was and what they did over the festive period. One kid, from a tough estate in London with a home-life that included never seeing dad, one brother in prison, one brother being deported and having to share a bed with his other brother said his best present was a football calendar. He was made up! One other lad in the same team said to me that over Christmas he went skiing and they took the family chef!!! Whilst their paths are nuanced, the game has brought them together and I love that. What ‘No Hunger in Paradise’ has done is brought to the surface more than anything that we have a duty of care to look after young people. That is non-negotiable in my opinion. I know one Championship club that at the start of last season got all the U8’s in a room with their parents that were hoping they had done enough to become a signed ‘Academy’ player at U9 for the following season, asked them to split in half to different sides when their name was called and then proceeded to tell the half on the left that ‘they were in’ and the half on the right ‘that they were not in’. In one foul swoop, to every single young child and parent at the same time. Wholly inappropriate. I know one Premier League that sent a text message to the players in their U15 year to tell them they had been released and they weren’t getting a scholarship. A TEXT MESSAGE!!!! That’s deplorable. Lads that had been there many of them since they were U9, parents that had driven kids around the country for hours a week to help the club and that is how they get treated? Terrible. Enjoy the excellent book/documentary, don’t forget that there is some amazing stuff going on and please keep challenging every single person in sport that works with young people to help make the experience the best it can possibly be. Nicely written piece and you’re right, it’s not all bad. With Mike Calvin, yourself and others bringing this world to light, perhaps the bar can be lifted for all kids who are involved in the football world. Thank you for your article and giving another angle of Academy life. I do agree with a lot you say. I think it is parents and kids who are not prepared to face the sometime harsh reality that it ended who will suffer. It is only with a better or say growth mindset you can turn around and make it a positive to something greater in life. Agree there are lot’s of positives if duty of care is applied appropriately. Should we allow primary school children to participate in academy programme’s – discuss? As much as I love sports childhood dreams should stay in the playground and the park with friends not a commercially driven environment. I agree that kids are being poached by adults looking after their own interests. No Academy until 13! Nice perspectives and important considerations. Your last point is the one where I think much more can be done in this country to help young people. I was fortunate to visit an academy in the Netherlands a few years ago and the one thing that stood out was their approach to recruitment and release of players. Managing expectations of players and parents in the recruitment process that they were ‘borrowing’ the young person from their local club so they could have extra practice and coaching with the intent to help them get better at football. Regular meetings with the grassroots liaison officer so that their grassroots club would be informed whether the player would likely be retained or released. A 3 way conversation between the child/parent, pro club and local club so that the player could be ‘re-patriated’ to their grassroots team so as not to be lost to the game, not to ‘lose face’ by being released ( they were only ever ‘borrowed’ anyway) and so the club benefitted by having a playing member back in their “family”. Another great piece Nick, my son was able to sample the Academy life very early as a kid and if you love playing football it is the best place to improve overall as a player, due to the quality of coaching compared to standard grassroots coaching. But like everything in life, we have to make best of whats available and use these experiences as part of our whole life journey. I personally feel having players at an academy from 7+ is OK, but believe the signing of players should only occur one they become teens, but I expect clubs especially the smaller ones need a way to protect the time and effort they put in to protect potential investments.